PRE-READING WARNING: You should know I am a big spicy-food-addict: I use dijon mustard “extra forte” with just a bit of oil as my salad dressing, I don’t have my nacho crisps with spicy salsa but more have salsa with a bit of nachos etc. you get the picture..
After having tried several Mexicans and Italians, and searching and searching… I HAVE FINALLY FOUND MY SPICY FOOD! The Infierno de Dante! Indeed, I find the other * at the bottom of the menu where it is written: To those courageous who survive the Infierno de Dante, we will offer them a shot of Limoncello or Grappa. ….“Oh it is ON”. 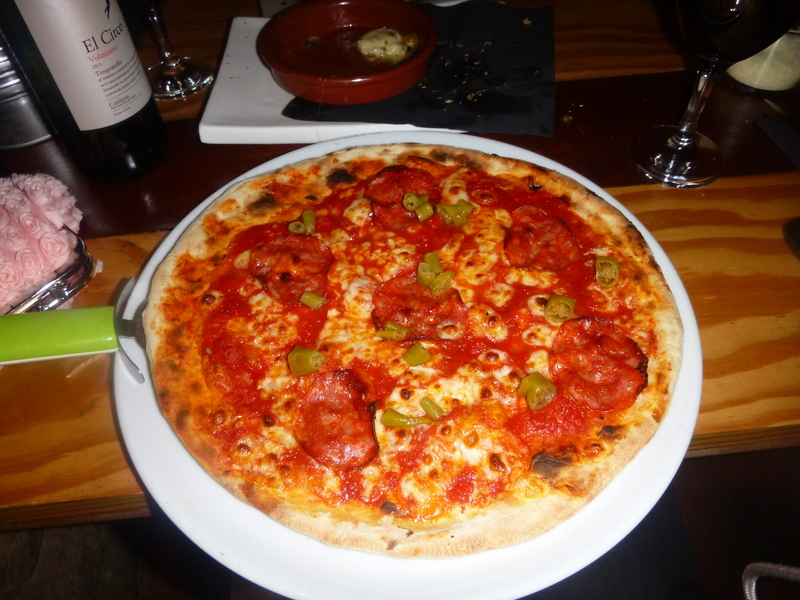 The ingredients of the pizza: tomate, mozzarella, spicy salami ‘ciambella’, giundilla verde, chilli africano. Wondering around Las Ramblas and feel like a break from the city, urbanism, bricks, roads and the sound of cars? 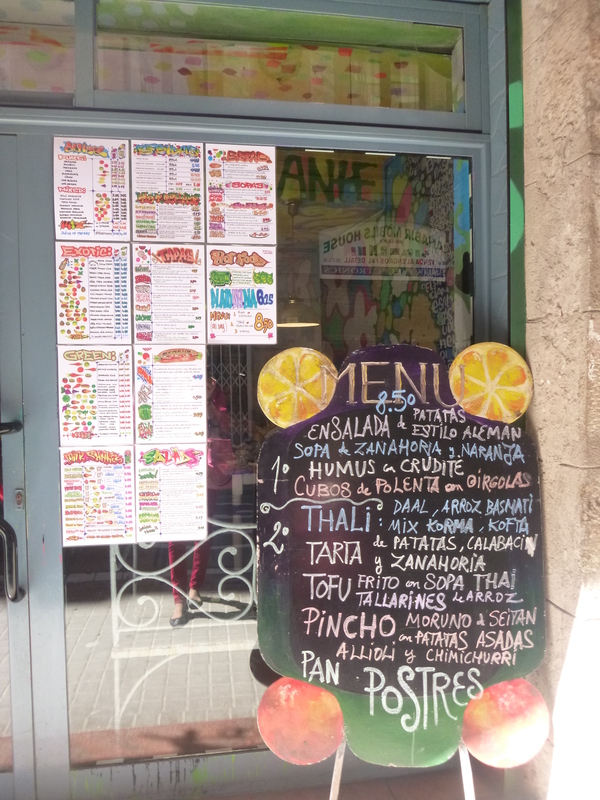 Turn right onto carrer de L’Hospital and right again onto a little “patio” and you’ll find El Jardí! A cute and small terrace will welcome you. You can relax in the sun with a beautiful view of flowers and fountain. 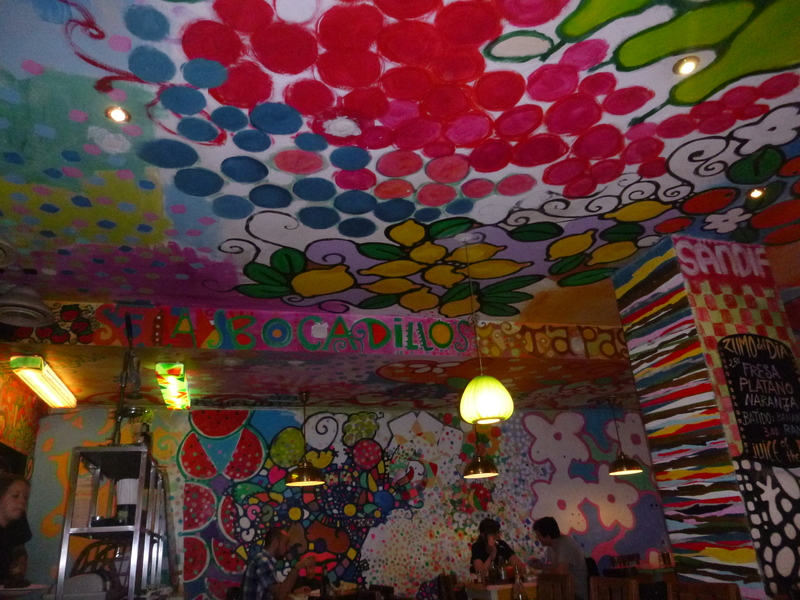 El Jardí is adorable; it really feels like you’ve walked into someone’s garden. 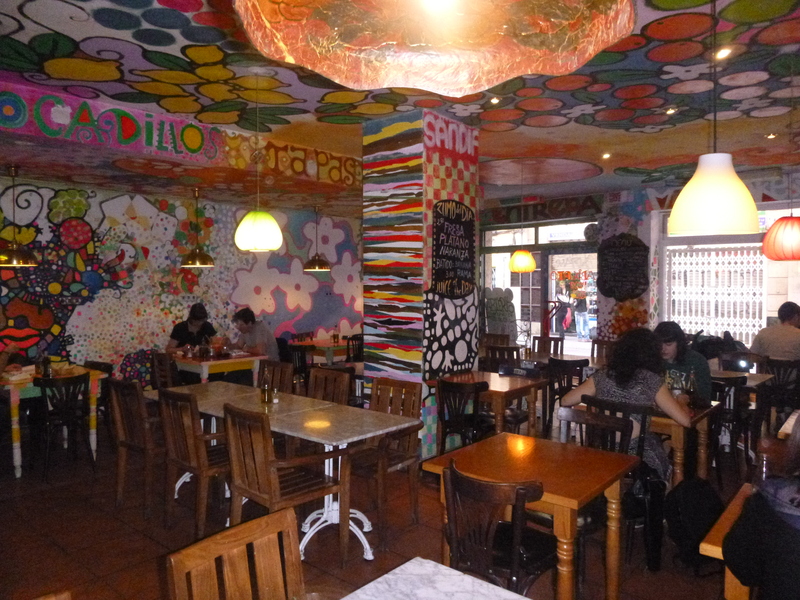 There’s a very small kitchen where they prepare fresh bocadillos and desayunos for the morning and artsy-original tapas for lunch and dinner. Their bar is a simple and long wooden table with all their bottles displayed. I went for a late breakfast there and ordered a bocadillo for 3€ and got a nice portion. 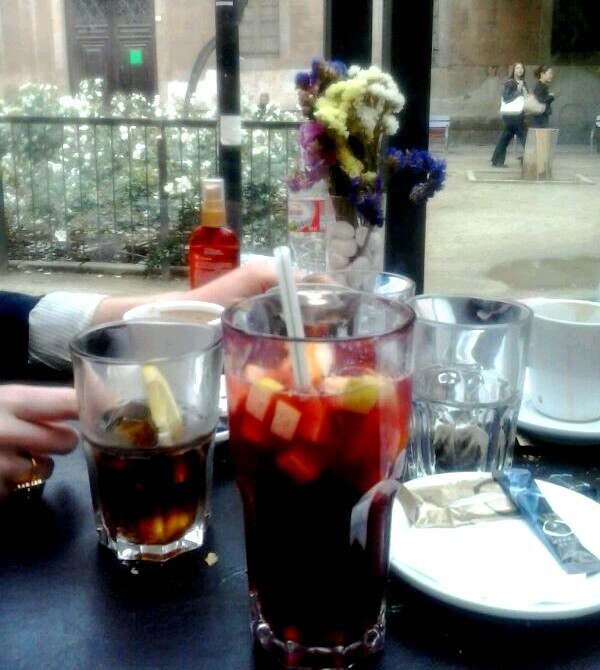 In addition, their homemade sangria is really nice and refreshing after a few hours in the sun! SUN IS OUT: WHERE ARE THE ICE CREAMS? Summer means: sun, beach, sun burns, monoi oil, cocktails, sangria, music, bikinis, juices… but the most important is ICE CREAM! 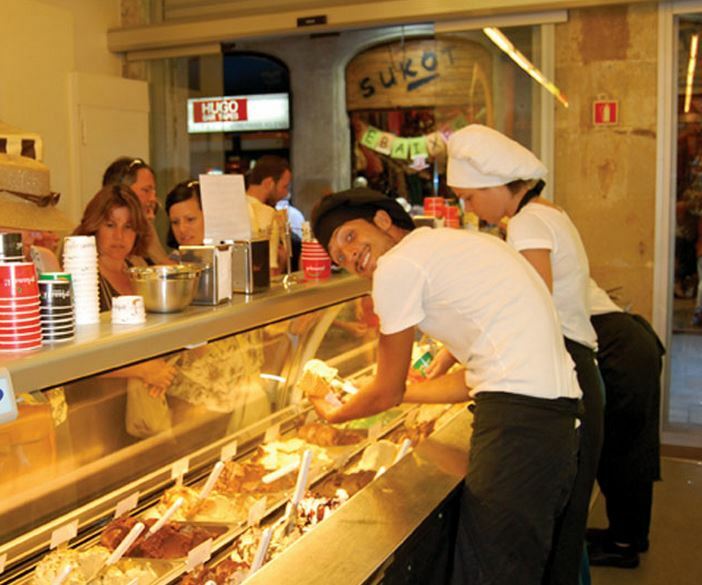 Where to go for a delicious ice cream? 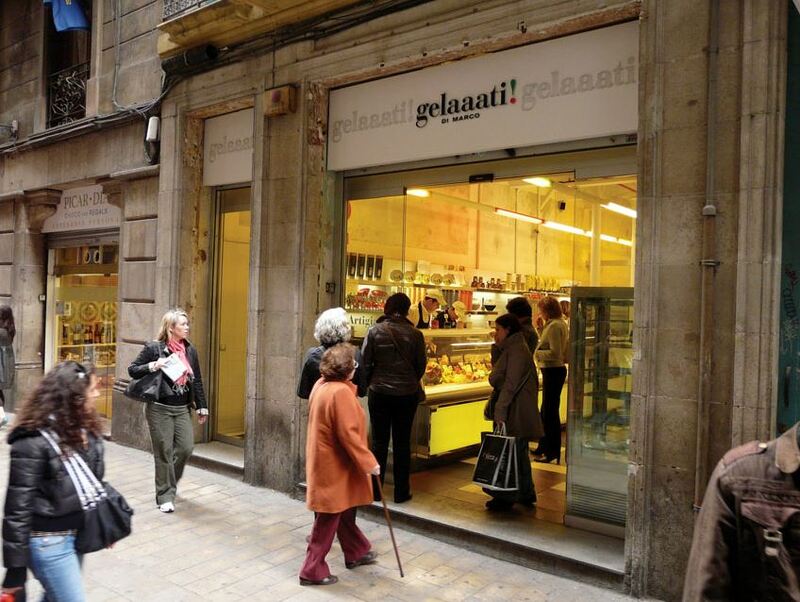 Located on the corner of Placa Sant Jaume in el Barrio Gótico next to metro station Jaume I, this “gelateria” offers the best ice cream not only in Barcelona but in the WORLD! (yes exaggeration but its just to express how amazing these ice creams are). WHY DO WE WANT TO GO HERE? For Traditionalists: Not a big fan of change? 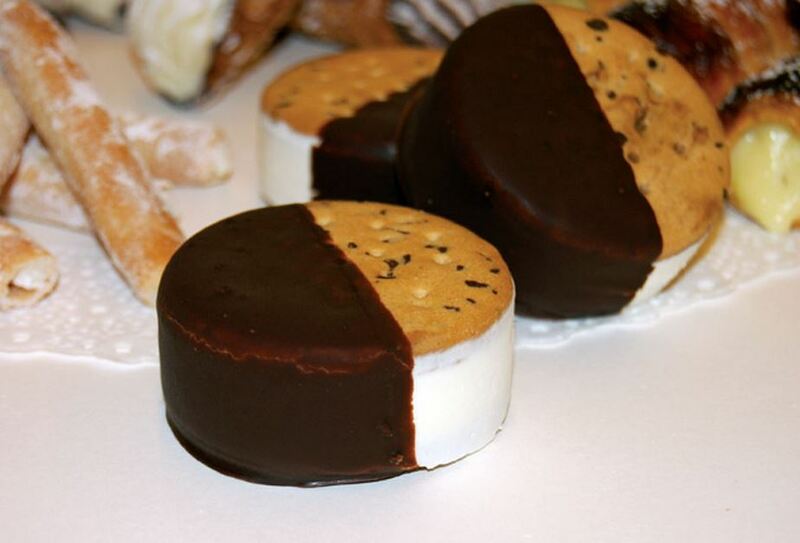 You can also enjoy the traditional flavours such as Vanilla, Chocolate and Strawberry. 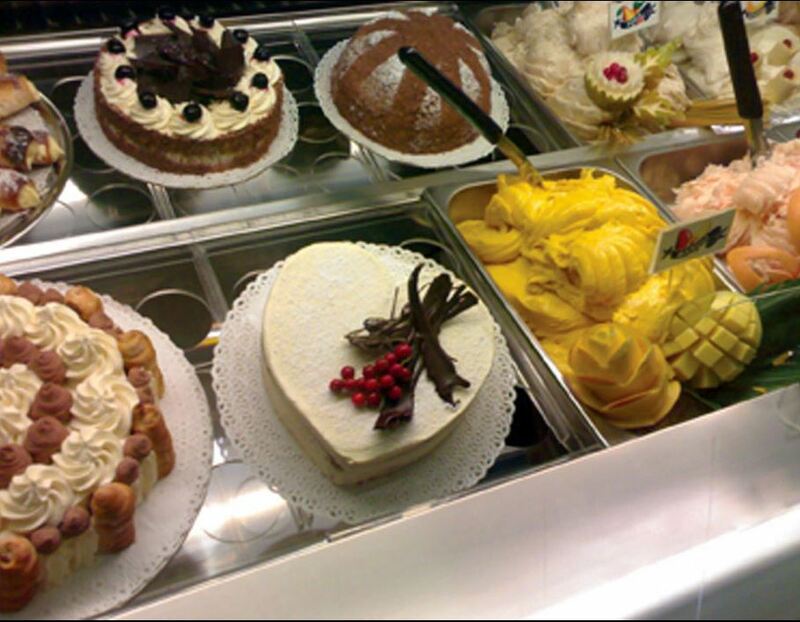 In addition, the ingredients are indicated on the window at the far end of the gelateria so that you know what you’re eating. 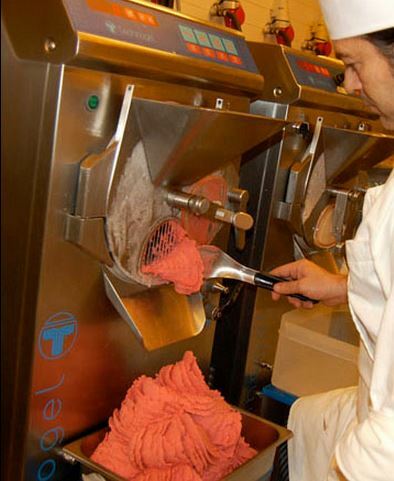 Finally all the ice creams are made in the shop. The production can be observed from inside the place. I could have the nicest food, if the service is crap I will never return, never recommend the place and above all not enjoy the experience. 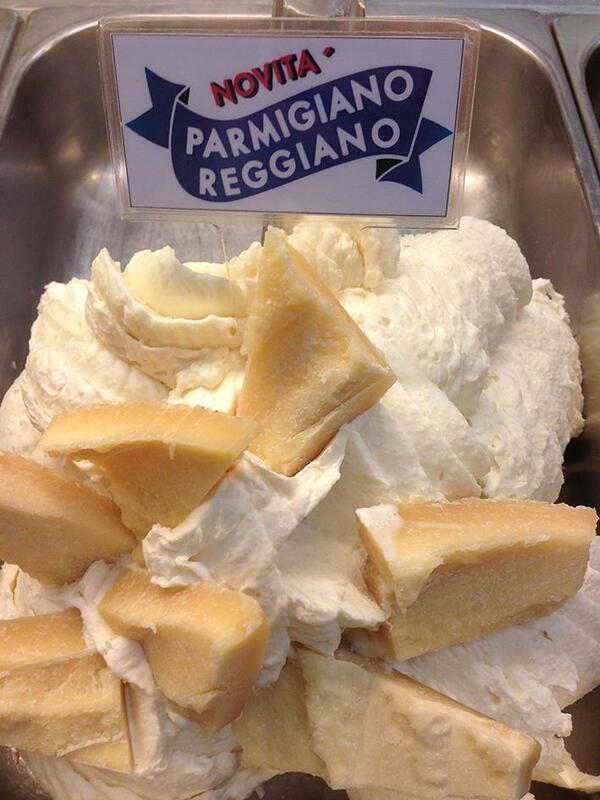 But at Di Marcos: no problemo! 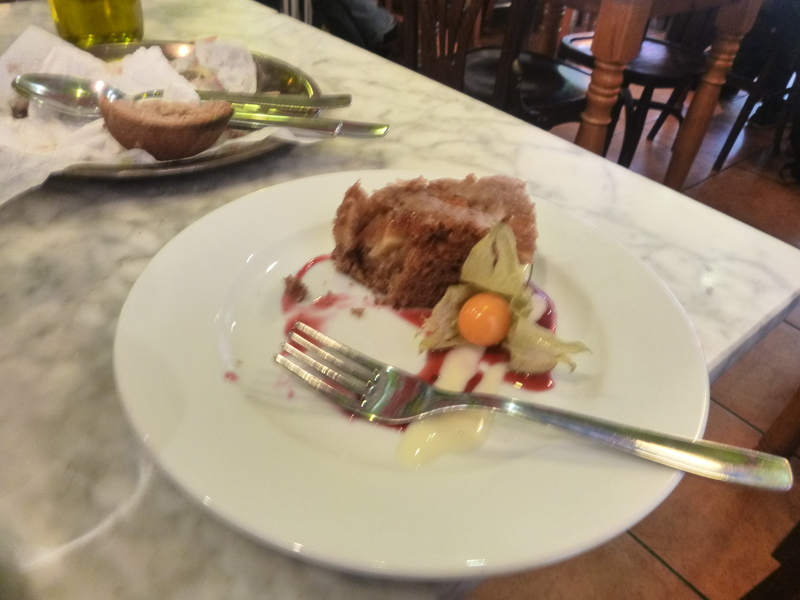 I went in with a friend and there were so many choices and new flavours that we didn’t know what we wanted it and if we’d like it… Although this would have annoyed other waiters, it didn’t seem to bother our waiter at all! On the contrary, he seemed to really enjoy having us taste all the different flavours! (and to be honest, I tasted so many that I almost felt full just with that..
You can also other products such as their yogurts, cakes and cookies which look just as tasty as the ice creams ! 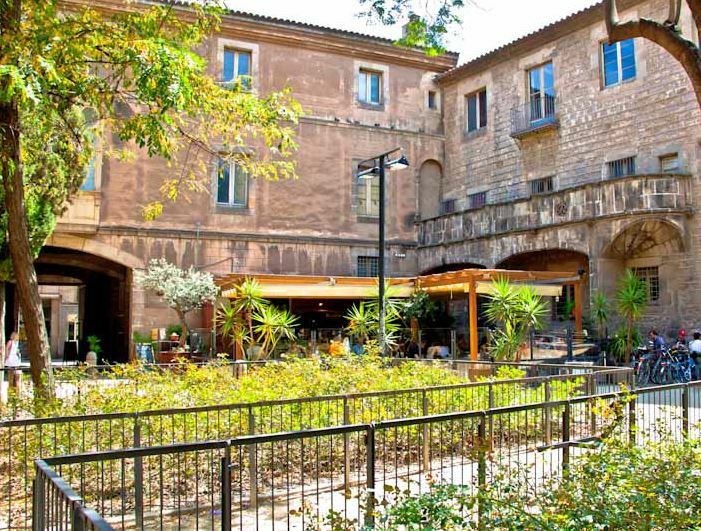 A little plus is that it’s located right on the corner of Placa Sant Jaume. 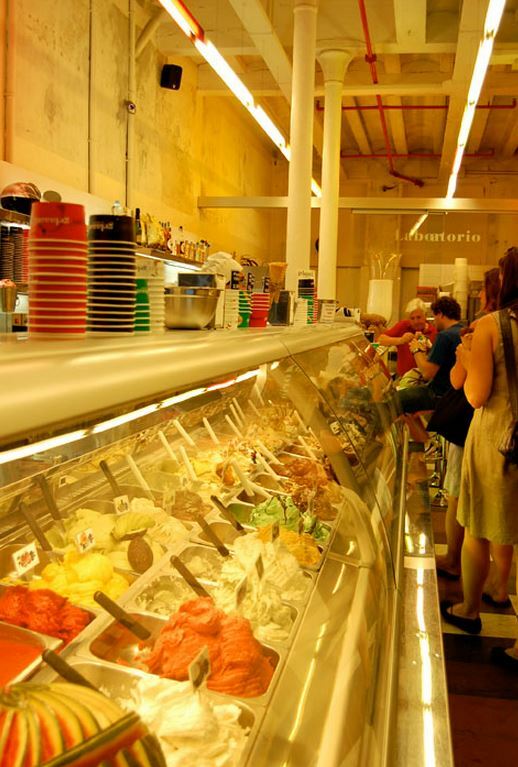 So once you’ve bought your ice cream, go ahead and visit the placa! This ice cream parlour is a MUST on a nice sunny day! NO MORE MOANS, THERE’S JUICY JONES ! Here’s the thing… it’s on a long and narrow street full of 24h alimentaciones (24h open food-shops) and dry-cleanings and isn’t in the prettiest neighborhood: El Raval. However the beauty about this place is that because the location doesn’t attract many tourists, this is a “secret wonder”. I barely notice Juicy Jones when I walk by it. It blends in perfectly with the rest of the surroundings. The only reason I stop is because of its colourful menu displayed on its windows and the fact that google maps was indicating “destination is on your left”. 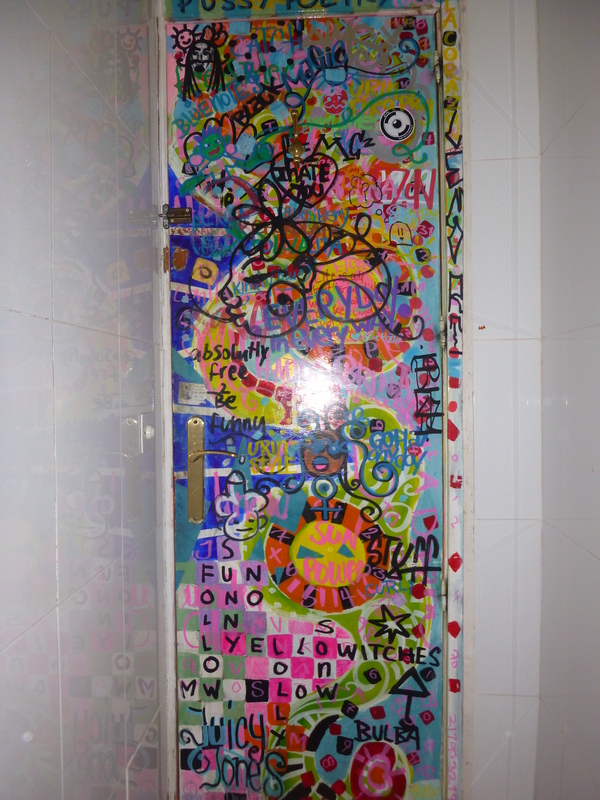 I open the door and a wave of thoughts pour in my head. ODOR! It is unique. I can’t quite make out what it is… I’m smelling a mix of toasted organic and whole bread scent along with tofu, herbs, spices, fresh vegetables and fruits. .. The wooden tables and chairs are very simplistic yet perfect for this environment and accompanied by a little pot of flower with a bottle of organic olive oil. 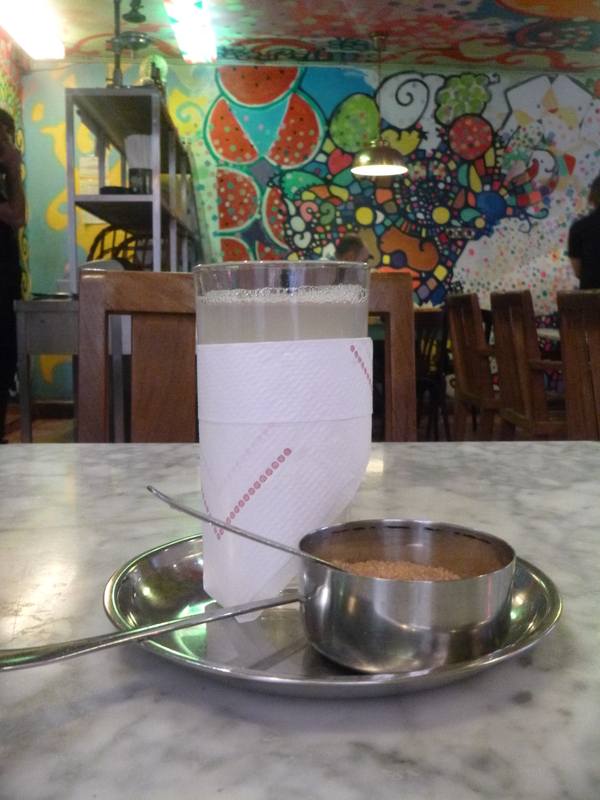 Different sounds invade my hearing: the casual chill music (not the stereotypical vegeterain music which sounds like you’ve just entered a yoga class), the light brouha from the different groups talking, chit-chatting or simply devouring their food. After being shown to a table by a friendly waitress I open the menu to find, yet again!, colours and graffiti-like writing everywhere. 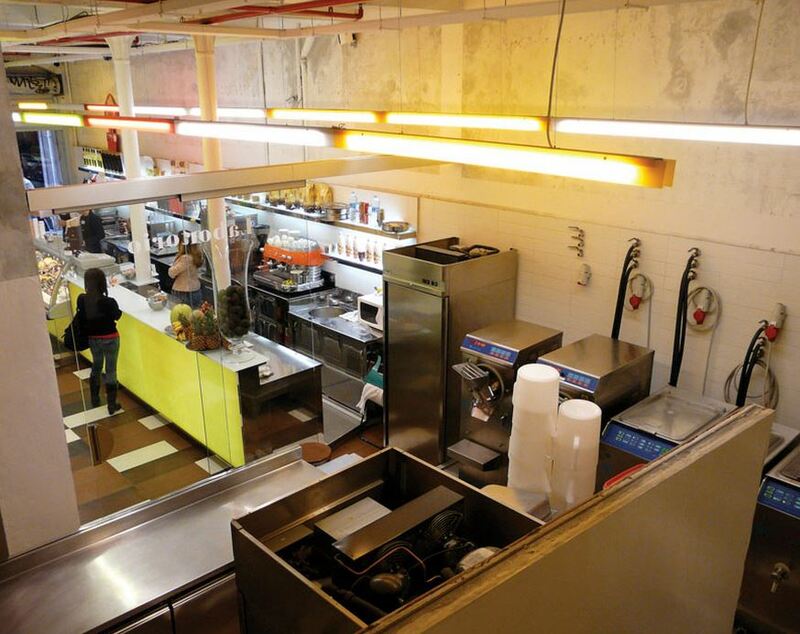 I have different options: starters, salads*, bocadillos (sandwiches), fresh juices, hot juices, sweets and smoothies. 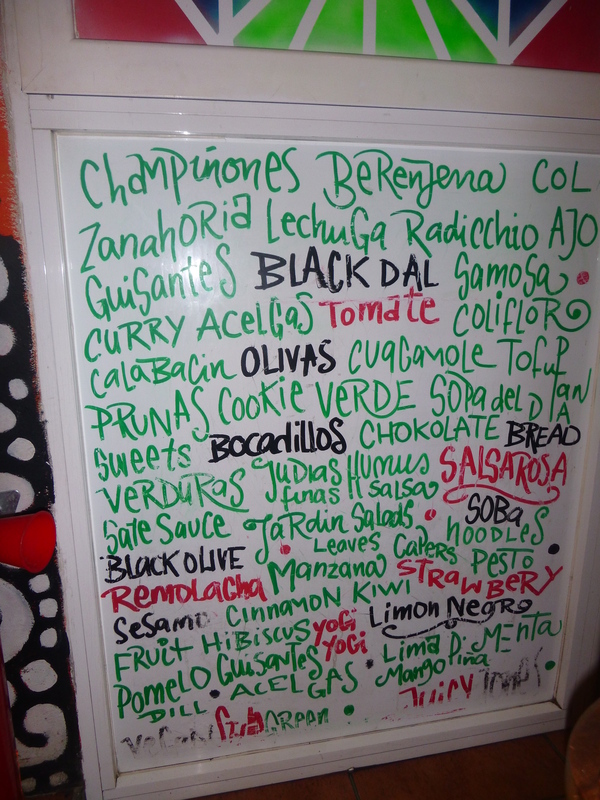 Taped on the back of the menu is the menu del dia; menu which varies every day depending on what the chef’s mood and consists of a choice of three starters, three mains and three deserts with bread and drink included. The entire menu is very original and will please anyone! And I promise you, you won’t find these options in any other restaurant. 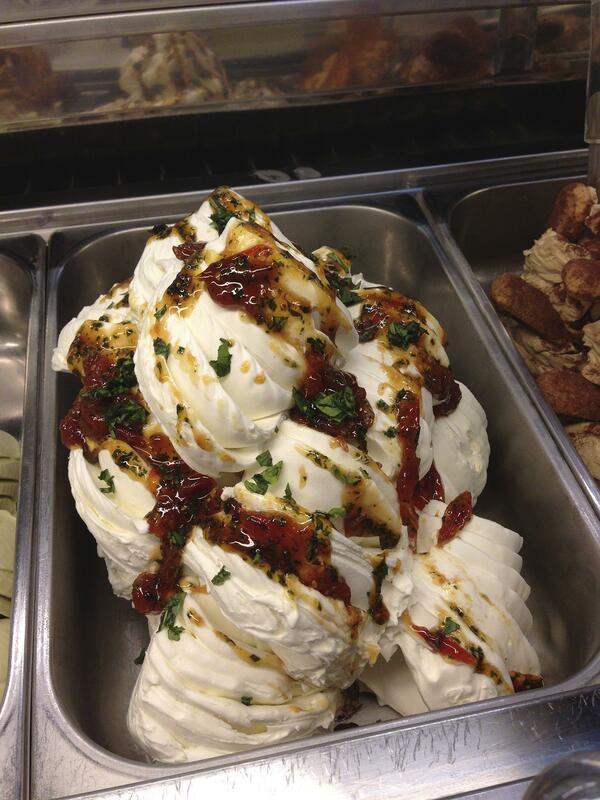 In addition; the great thing about Juicy Jones is that everything is homemade and fresh! 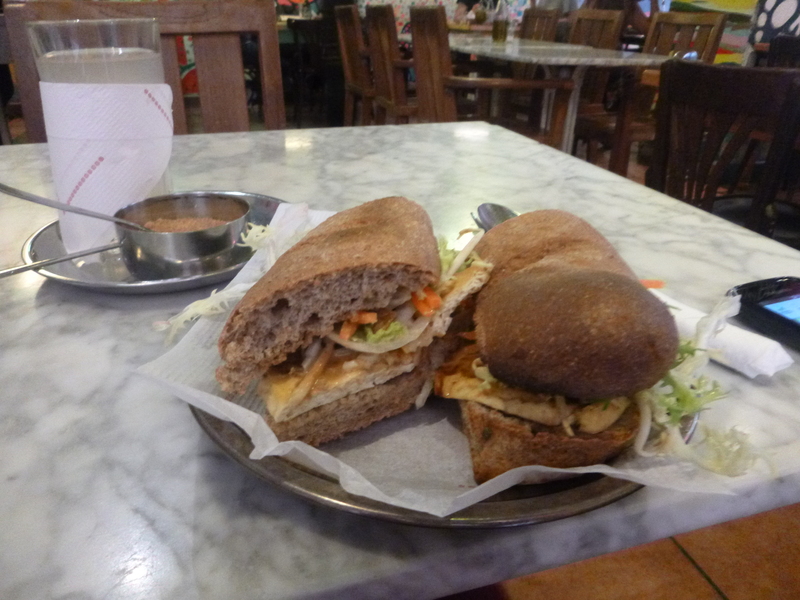 Not feeling too hungry, I went for the Tofu bocadillo, the cake of the day: apple cake and the hot lemon & ginger juice. It was, excuse my French, ORGASMIC! The bread: light, tastey, perfectly toasted and integral! The filling: slightly cooked tofu with some sort of tastey herby sauce, onions, salad and tomatoes. The cake, really nice! Not dry and very tasty! The juice, well simple but really nice! I am a big fan of ginger and for ONCE I could taste the ginger in my drink! No no, Juicy Jones is not like every other vegetarian place which charges you 5€ for a piece of tofu or 15€ for a salad .The menu del dia for example is only 8.50! Being French and pessimistic I think: “right so everything must be small portions and you probably finish the meal still hungry..” WRONG! I saw all those dishes come out and boy,were they big! So there you have it. And even if you’re not a vegetarian, I still think you should go to this place just for the ambiance and for the original food they offer. *Note: I know I said at the beginning that eating salads does get tiring, but these salads don’t qualify as “typical salads”. Have a look at the pictures of the menu and see for yourself!